Insecurity is what keeps us from achieving greatness. I can live and die off of that because I already know that there are people who don't believe in me. Some have told me directly to my face and some I just can tell by their behavior that they don't BELIEVE in me. Some of us have snake skin and can handle that aspect of it and some of us don't quite have it. Here's my thing, if you don't have snake skin, eventually you're going to have to develop it. Especially if you want to accomplish and achieve big things in your life. It's not going to be easy and it's all a growing process to develop snake skin and to only listen to your internal voice in your mind. Having self-doubt and uncertainty is part of the growth process and the journey, I go through it myself. I only tell you guys this because this is my truth and I have no reason to lie to those who read my blogs. A lot of days aren't easy and I do question myself of why I'm doing all of this writing, blogs, podcasts, audiobooks and not getting the results I want. I'm only approaching three years of this journey so if I've come this far, why would I stop now? 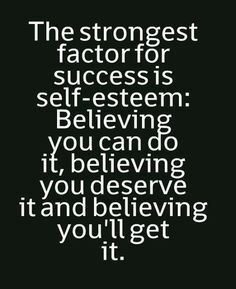 If you don't BELIEVE in yourself, who else is going to BELIEVE in you? That's the key in all of this, understanding and knowing who you are and how great you can be. We're all blessed with talents, it's a matter of utilizing them to impact others and the world. So today I come to you and ask you, do you BELIEVE in yourself? I hope you do because if you don't, I want you to start! Greatness comes with being self-aware of your strengths! Be good everyone, and go accomplish your goals!